Farai has over 13 years´ experience in the media industry. 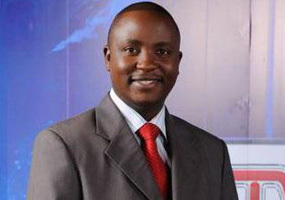 He started his career in Zimbabwe in 1998 before moving to Uganda in 2007, where he worked for East Africa’s largest media conglomerate Nation Media Group which has broadcast, print and online media interests in all five East African community member states. Farai was a television news anchor and presenter for Uganda’s most popular television station NTV Uganda. Apart from anchoring the nation’s most popular news bulletin he co-hosted the East African Business Agenda, a live business debate, broadcast simultaneously in Uganda and Kenya. It’s been a day of pomp and ceremony in Zimbabwe. President Robert Mugabe has been sworn in for another five-year term.